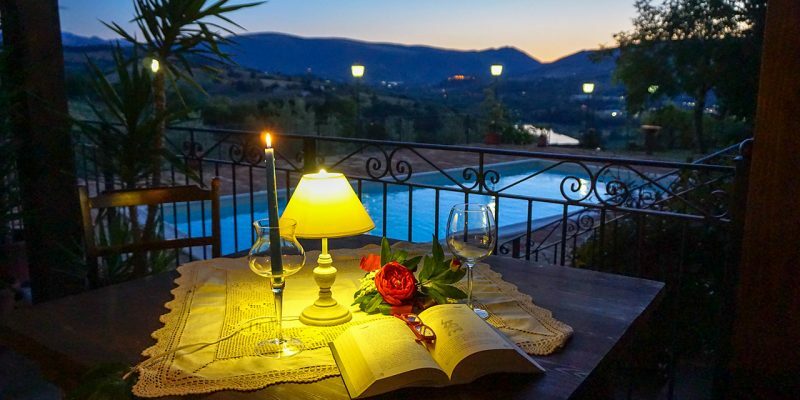 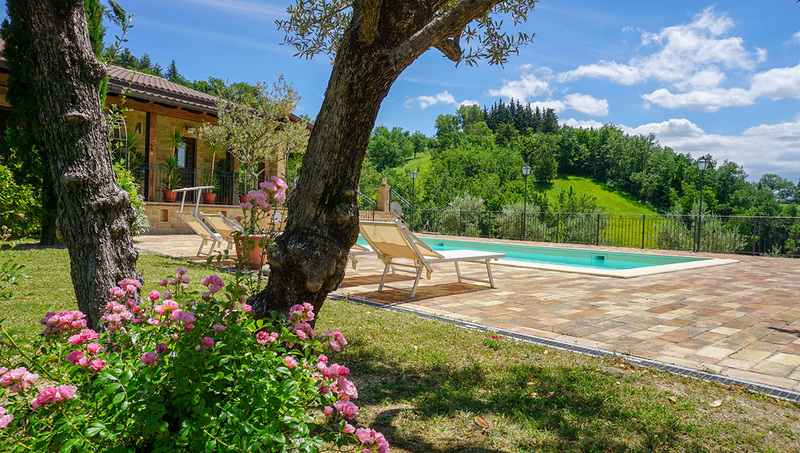 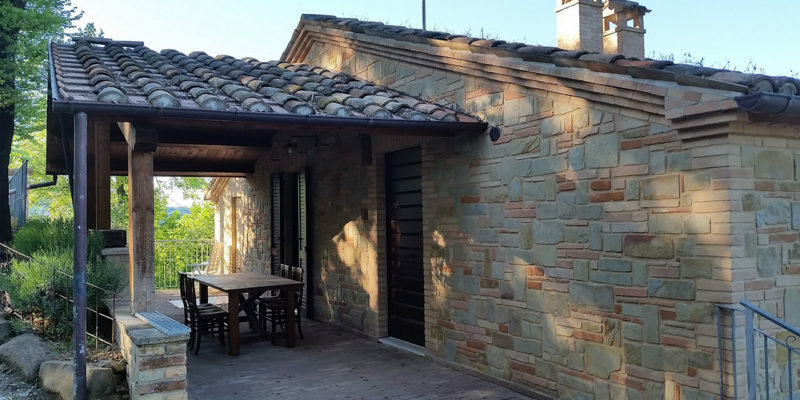 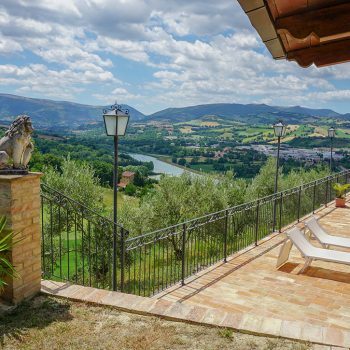 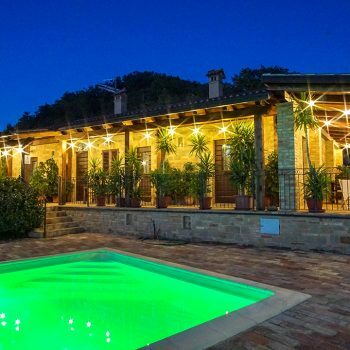 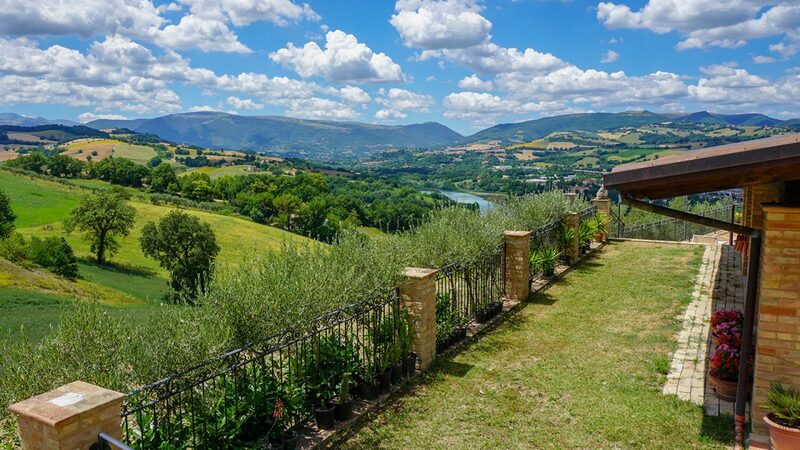 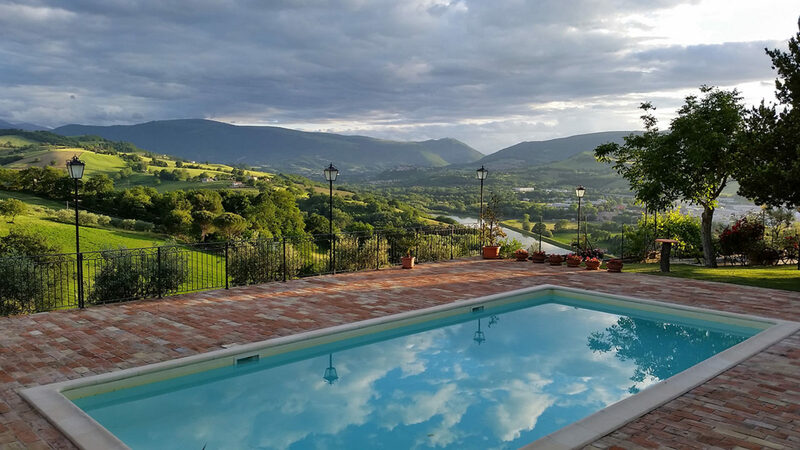 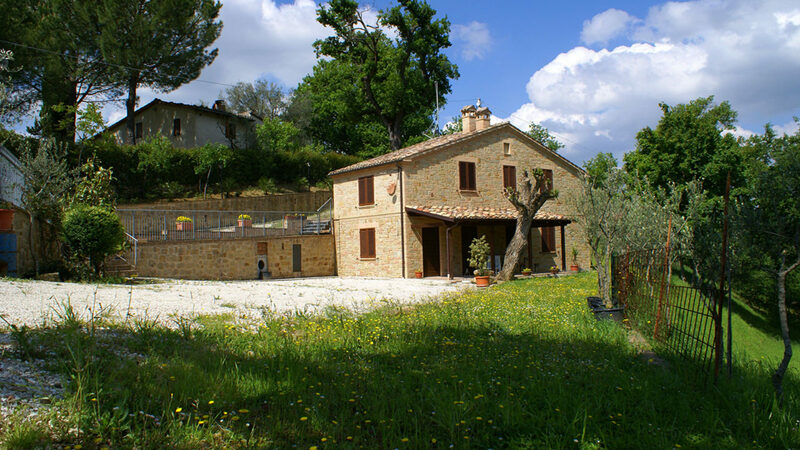 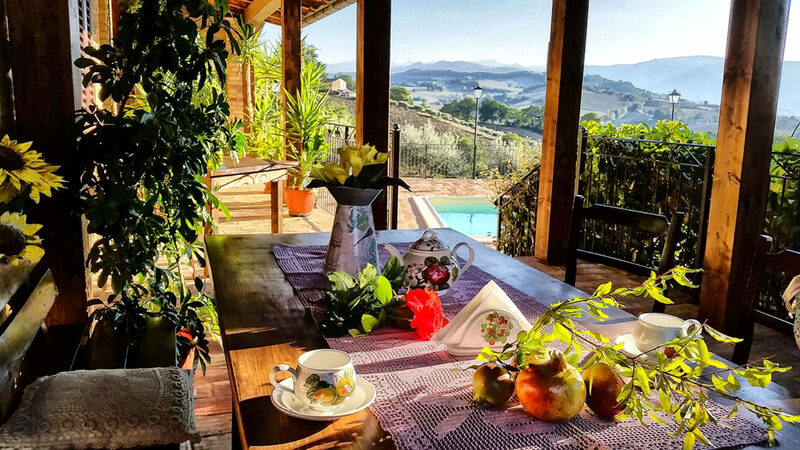 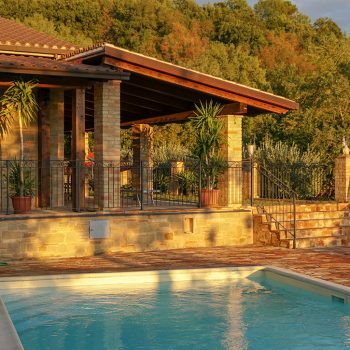 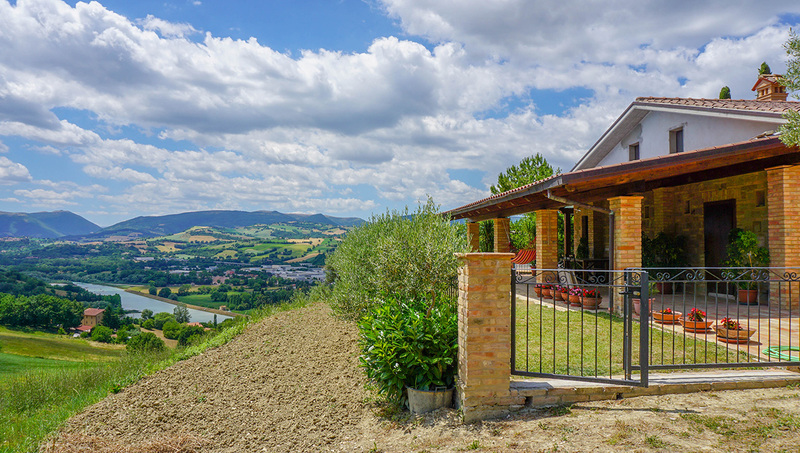 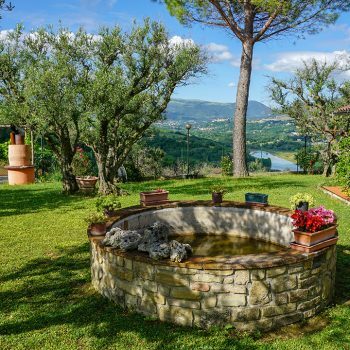 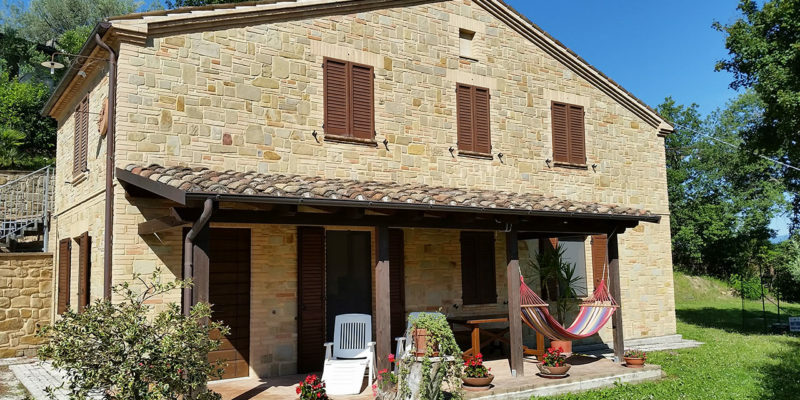 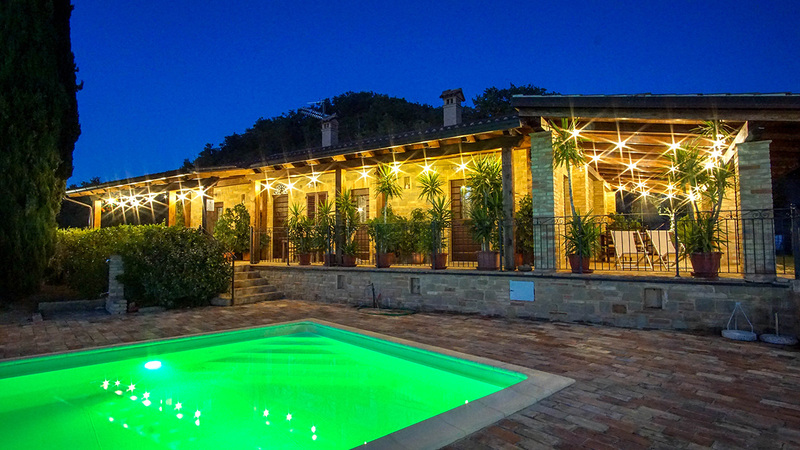 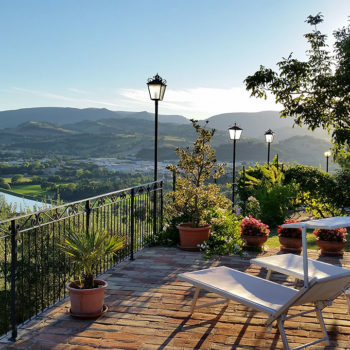 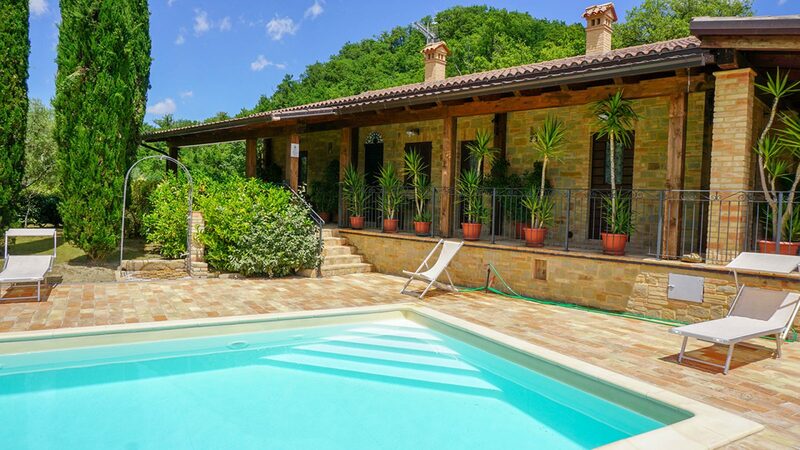 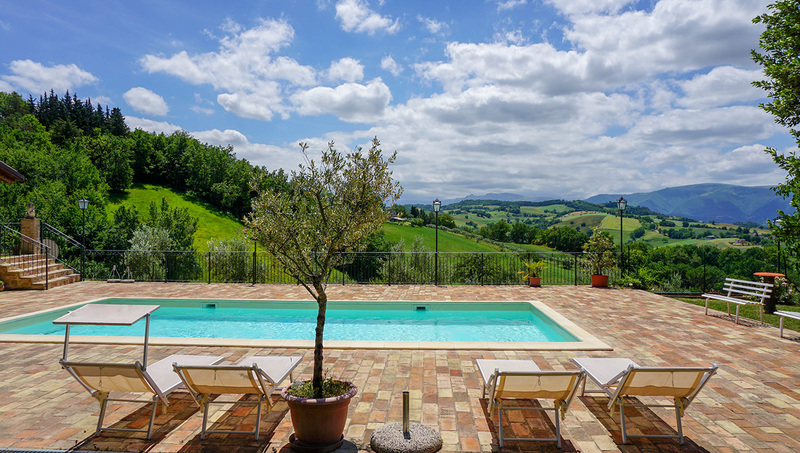 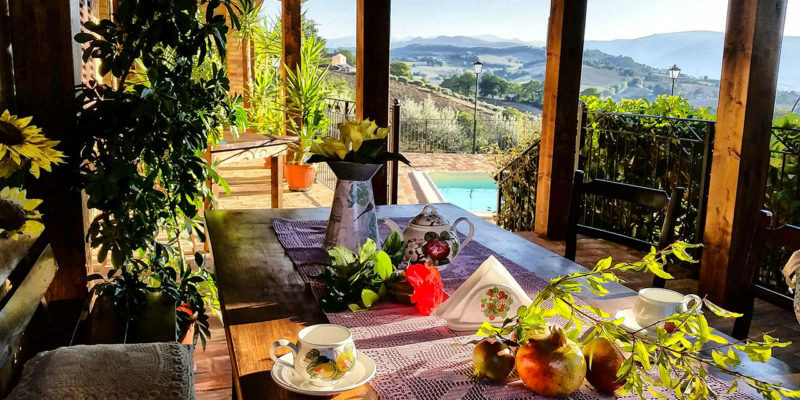 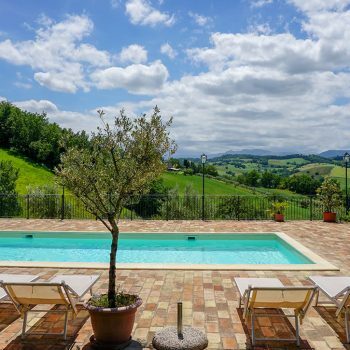 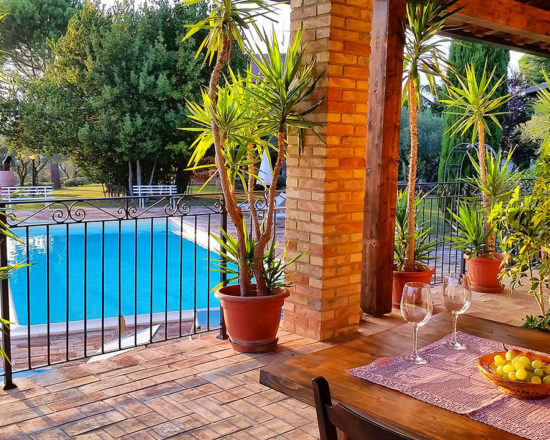 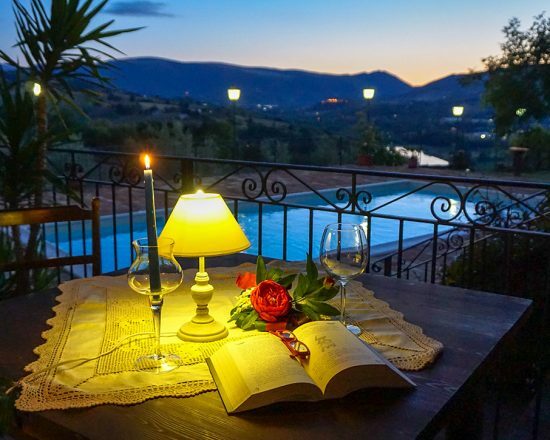 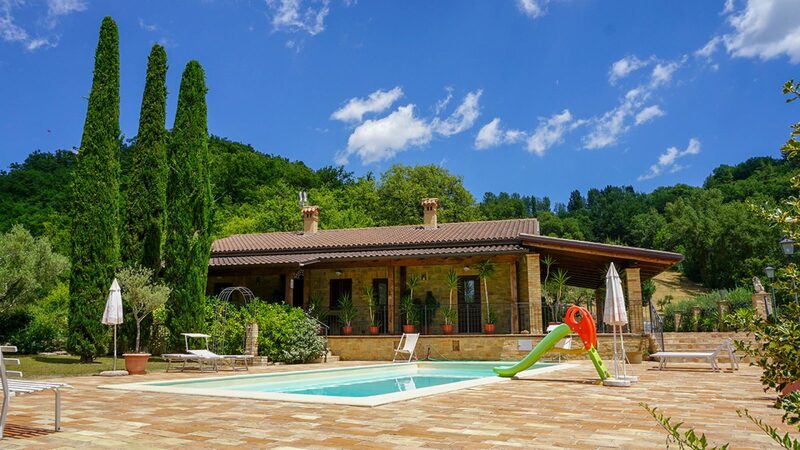 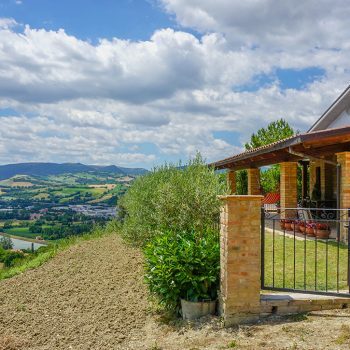 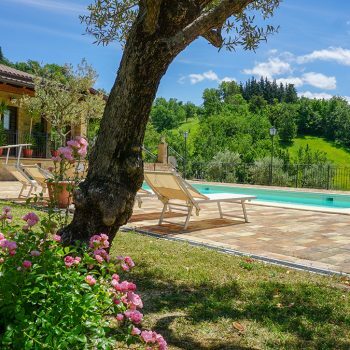 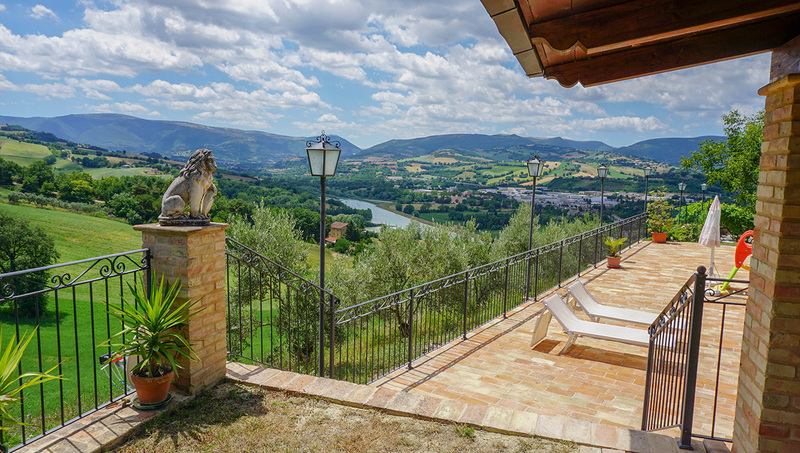 The farmhouse is located in the quiet Marche countryside near the "Le Grazie” lake in Tolentino (Macerata) and is therefore an excellent place to spend relaxing days. In our Agriturismo there are five apartments in two distinct structures. 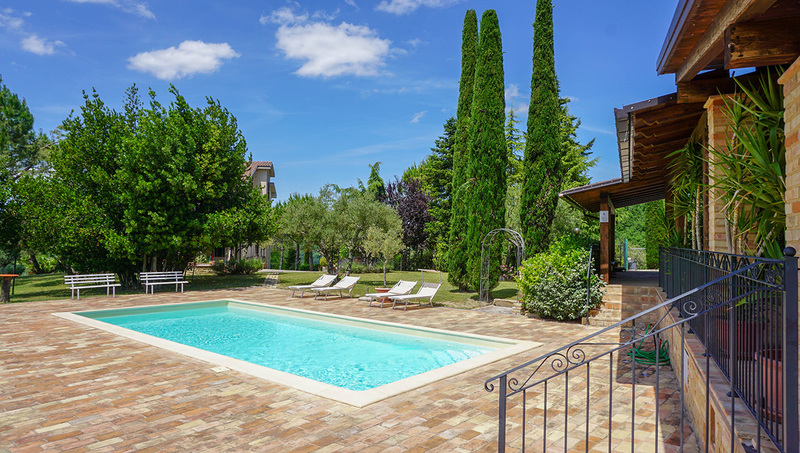 In the structure near the pool there is a two-room apartment ("La Ginestra") and two one-bedroom apartments ("La Rosa" and "La Lavanda"). 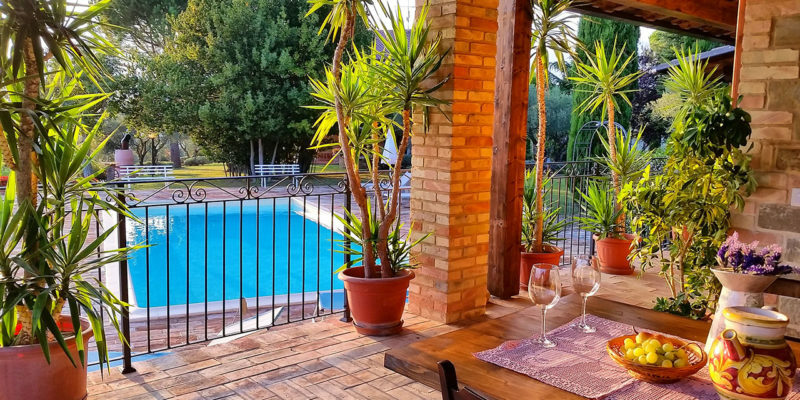 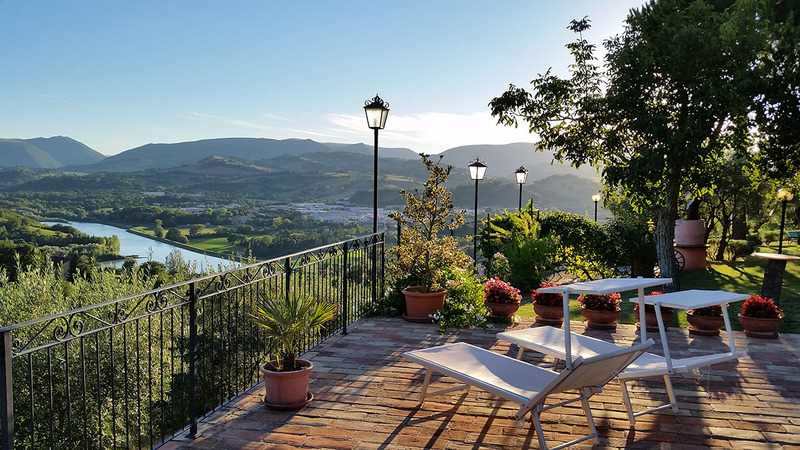 In the structure that is located about 100 meters from the pool area and from the garden there are two apartments with two bedrooms ("La Betulla" and "La Quercia"). 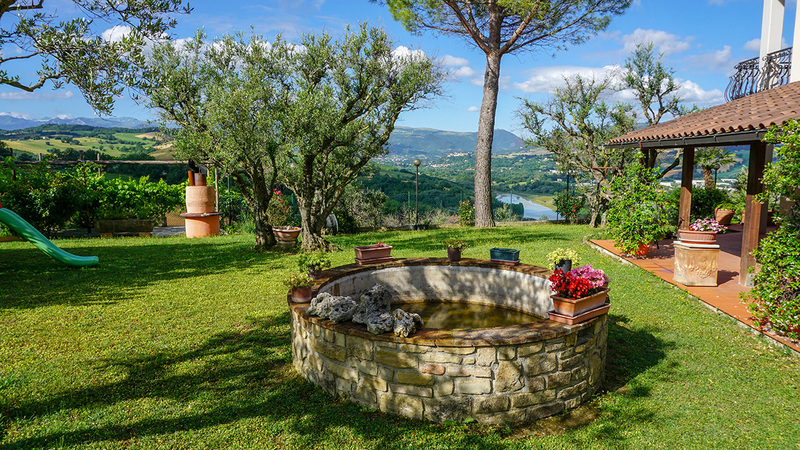 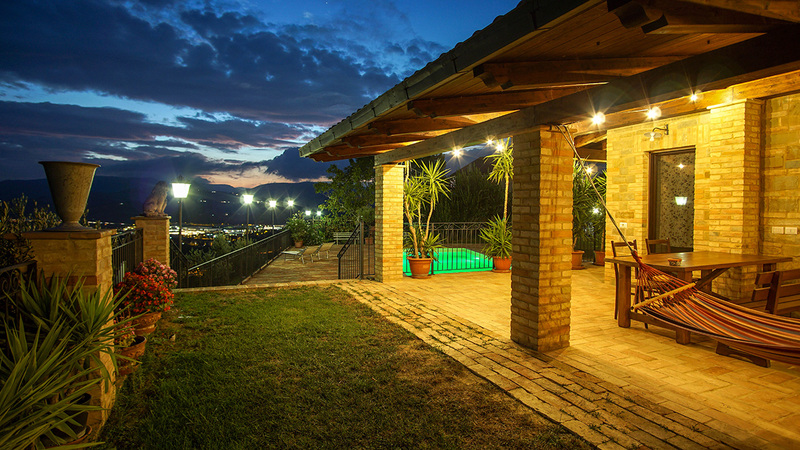 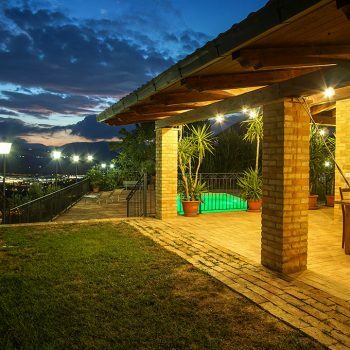 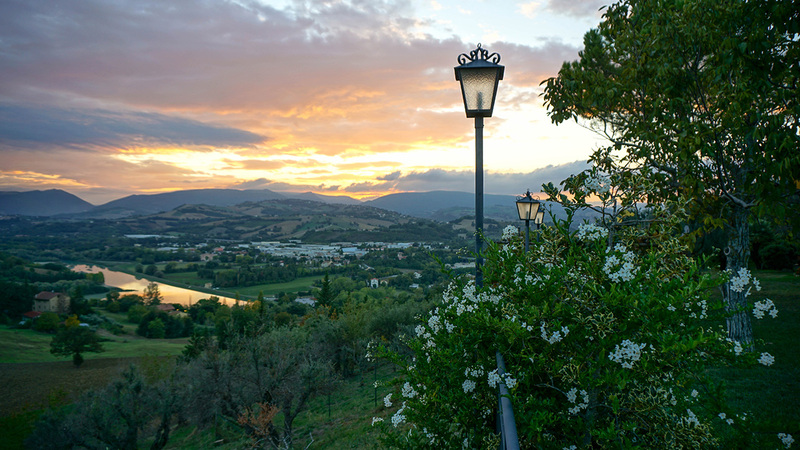 From the pool area and the garden you can admire a beautiful view of the Lake and the Sibillini mountains. 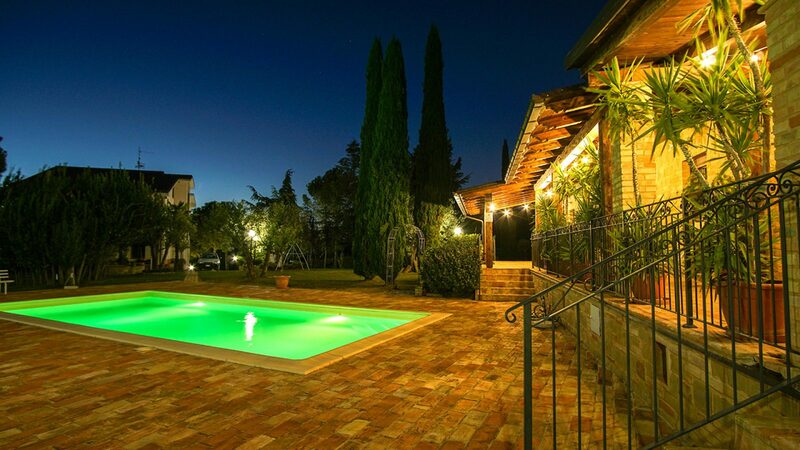 The pool and the outside area is reserved only for our guests.. 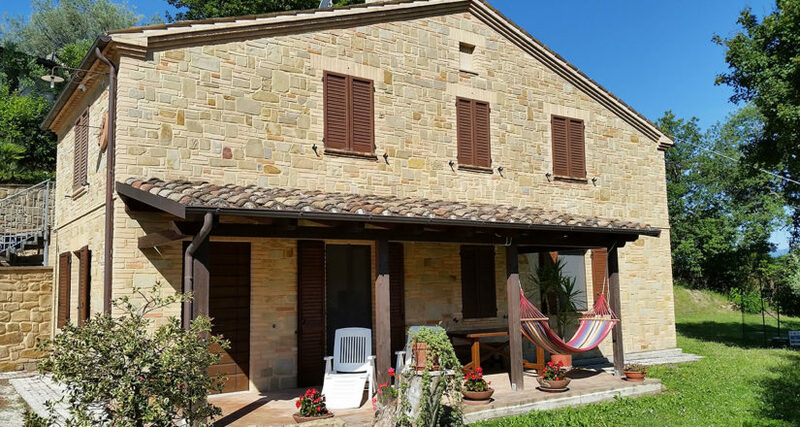 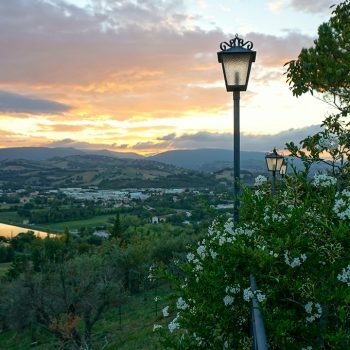 The farmhouse is located near the exit "Tolentino Sud" "SS 77" motorway and is therefore an ideal starting point to reach the most interesting places of the Province of Macerata. 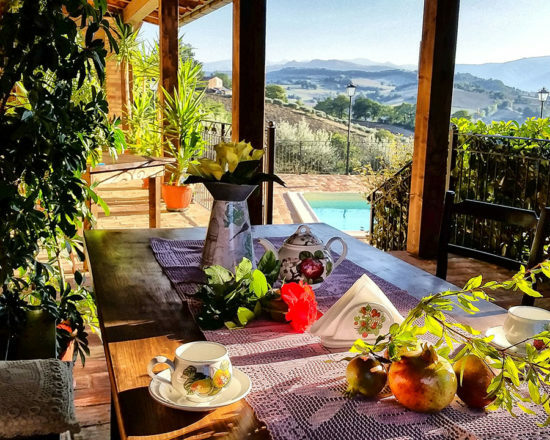 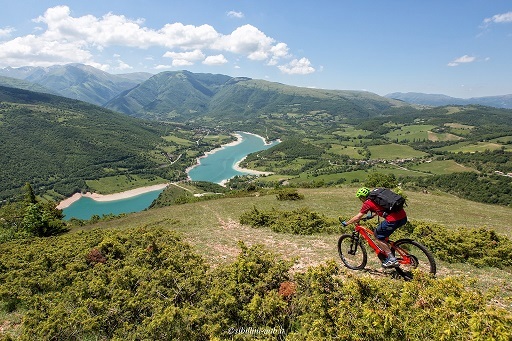 For example with a 30 minute by car you can reach the coast with its beautiful beaches, or with the same time you can visit historic villages or hidden places of the Sibillini Mountains. 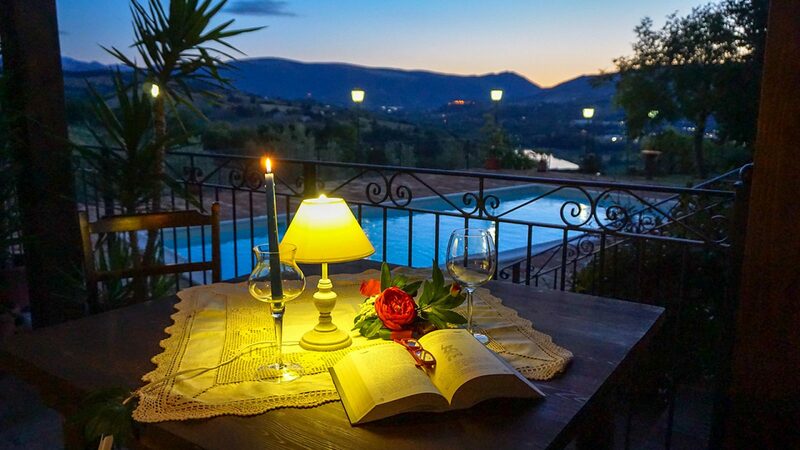 Are you ready to reach us?